Аппарат Hennessey Venom GT попал в книгу рекордов Гиннеса, потому что смог стать самым быстрым автомобилем среди существующих серийных автомобилей. Речь идет о максимальной скорости. До этого момента рекорд скорости был у Бугатти Вейрон, но теперь the fastest car in the world - автомобиль Hennessey Venom GT. 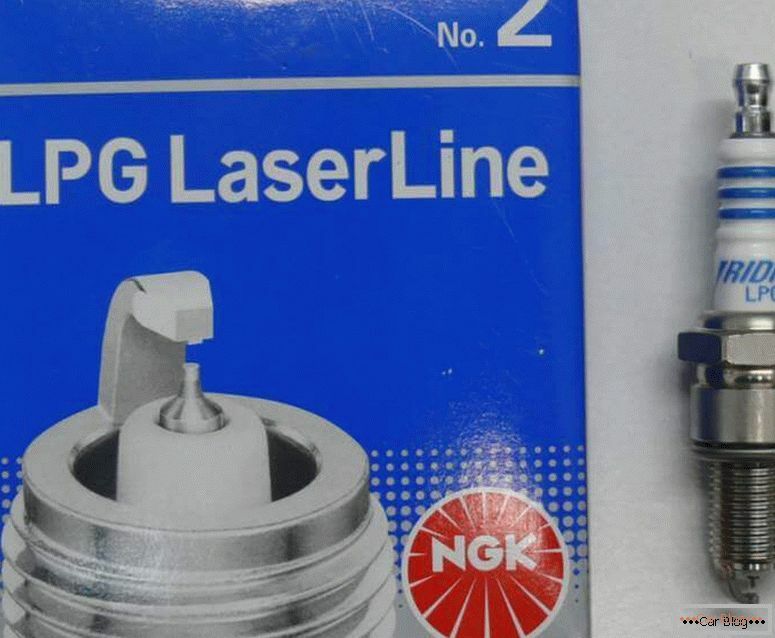 Эту машину разработали инженеры компании Hennessey Performance Engineering. The record was set in the United States in the state of California on the runway of Lemur airbase. 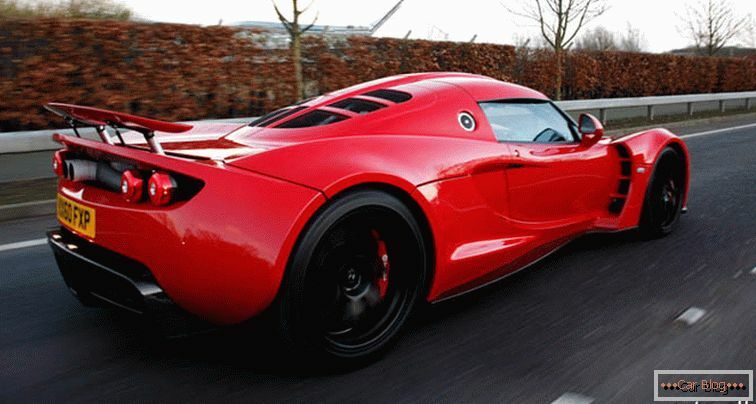 Venom GT was able to accelerate to a speed of 426.7 km / h, it took more than 2 miles. Интересно то, что Bugatti Veyron в версии Super Sport еще 3 года назад смог разогнаться до 431 км/час, но на всех моделях, выставленных на продажу, установлен ограничитель скорости до 415 км/час. 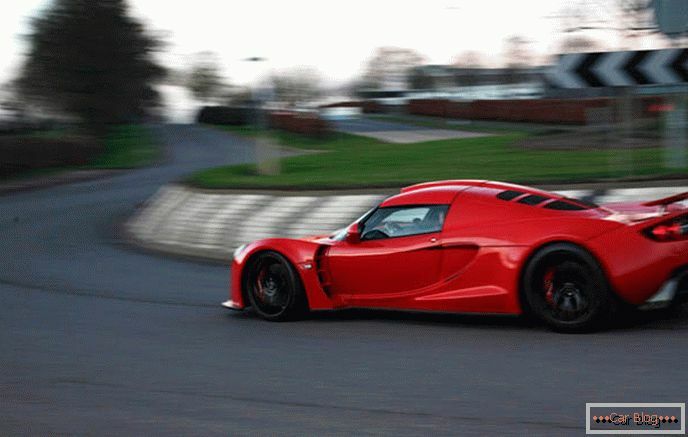 Именно поэтому компания Bugatti потеряла титул «the fastest car in the world», а Hennessey Venom GT его нашел. Поэтому на автомобилях Бугатти надо убрать ограничитель. Now back to the fastest car in the world. The Hennessey Venom GT is based on Lotus Exige, but in fact there are almost no similarities between the Venom GT and Lotus Exige. Under the hood, the Venom GT has a 7-liter V8 engine and two Precision turbochargers. This power unit delivers 1244 hp of power. and torque of 1566 Nm. 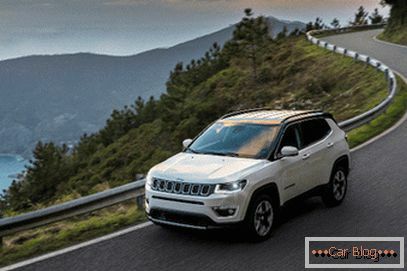 Unlike other brands of American cars, this car has a very powerful engine. As for the dynamics of acceleration from zero to 100 km / h, the Venom GT does it in 2.7 seconds, and 300 km / h is overcome in 13.63 seconds. Bugatti Veyron, for example, accelerates to a hundred in 2.5 seconds, but this is not important. Recommended article: Mercedes-Benz C-class 2014: the first data appeared on the new product. The Hennessey company plans to assemble only 29 Venom GT cars and put them up for sale at a price of 1.2 million dollars. This car turned out even cheaper than the Lamborghini Veneno, which is considered an elite car, but at the same time the Venom GT is more powerful than the Veneno. 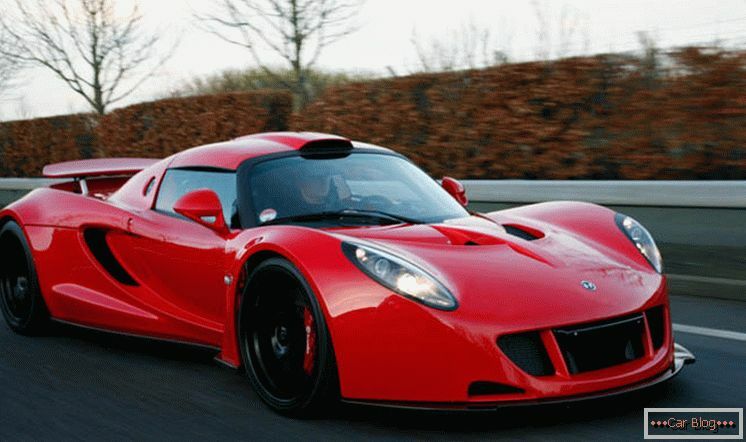 Hennessey Venom GT is a good car, but it is not popular enough, unlike the Range Rover Sport, few people have heard about it, so it is unlikely to appear on the Russian market, and it will not be very comfortable to drive on our roads, but still the car is good, as is the price - $ 1,200,000.